Fidelity ADT, a national provider of armed response and security services, wanted to revitalize and relaunch its electronic billing process. The objective was to lower operational costs, improve billing efficiency and enhance the customer’s billing experience. 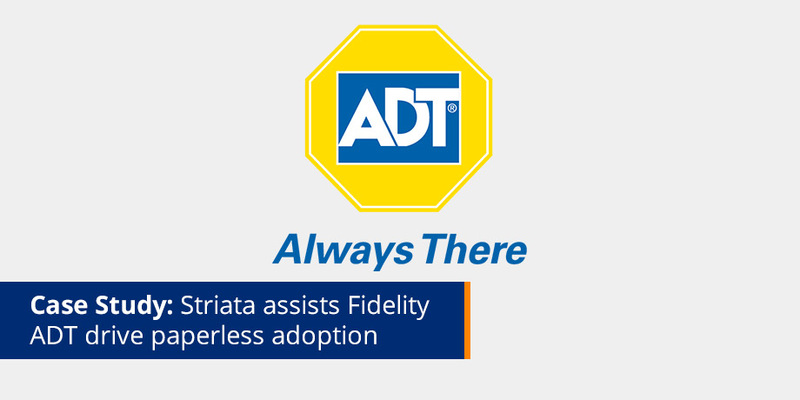 Fidelity ADT selected a solution proposed by Striata that included preparing its customer data for digital engagement, and introducing an enhanced, interactive billing experience. The project team set an aggressive target of achieving 100% paperless billing within 2-3 years and kicked this off with a data gathering and validation campaign. Phase 3 of the project was the relaunch of an enhanced electronic billing package to all customers that (following Phase 1 and 2) had valid email addresses.